Available in print in Fogler Library. Foundations found in the directory are also available through our online database, Foundation Directory Online Professional. 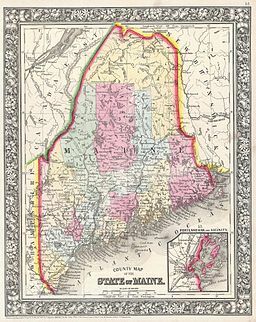 Site includes reports and data related to philanthropy in Maine. The UMHC Faculty Grant Program offers awards to support many kinds of research and/or collaborations related to innovative and aspirational humanities projects. To assist faculty in establishing or maintaining high quality research programs and other creative achievements. Includes scholarship, fellowships, assistantships, and work study. The Grant Development Office assists faculty with proposal development, provides grant re-submission support, can help identify targeted funding opportunities, and provides training and technical assistance related to grantsmanship. They also facilitate the UMAPIT program, which provides grant writers with an internal peer review of proposals before they are submitted to funding agencies. Check out their weekly list of external funding opportunities. Includes information and support for the grant application process as a member of the University of Maine. The Advanced Computing Group supports the Maine Dataverse Network, a secure, cloud-based repository for sharing and archiving data created by UMaine researchers. The ACG also provides technical support to researchers using the Dataverse Network. Tools to assist you as you plan your funding project, seek funders, prepare proposals, submit applications and evaluate your work.